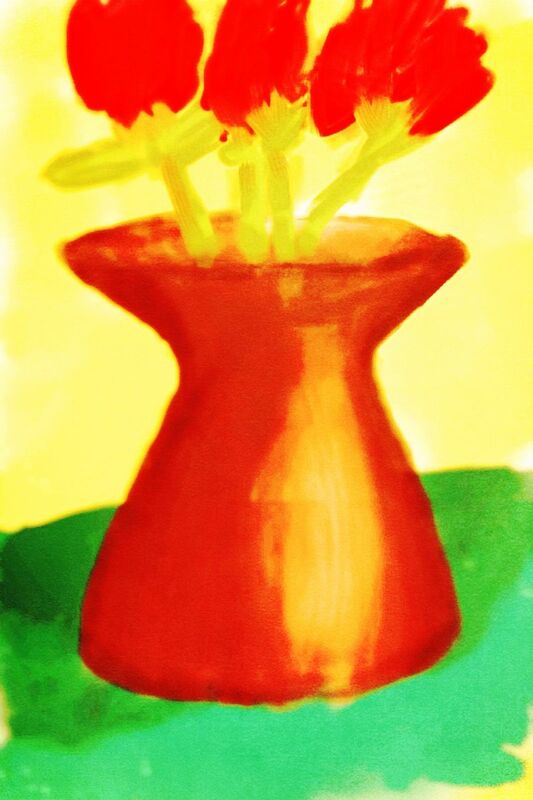 I was waiting for the end of the world last night and I made you these flowers with a little painting app on my phone. Oh, you didn’t know about the Beiber-droids? Sorry, amigo — the Bible guarntees it. So, as a parting gift in case I’m gone, I thought I’d leave a few flowers on the table. The end of the world didn’t actually happen yesterday and you’re chuckling at the religious nuts that are stammering some pathetic reasons for their biblical miscalculations. Odds are, it’s door number 3. What if I only had one week left? One day? Am I satisfied with my relationships? Have I left some things unsaid or undone? What about my relationship with God? Does it make me feel uneasy to think about showing up in God’s presence? Because, let’s be honest. The world may not end today, but mine could. I had an interesting conversation recently with a doctor who’s interested in oncology. He said all of the exposure he’s having to dying people has made him realize something that contemporary science tends to overlook: Everyone dies. The best medical treatment, the most involved excercise regimen, the most dedicated diet routine is only slowing down the inevitable. “They haven’t found a cure for death,” he said. Since there’s no remedy for death, I have my prescription for life: Be ready — at any time — to depart in peace. Peace with myself, with my loved ones, with God. And to leave my world a little better than I found it. How is that outlook any different than a renter who trashes the house she’s been staying in when the lease is up? The house is no longer useful to her, so she kicks holes in the walls, lets the dog pee on the carpet, and busts up the windows. Somehow that seems like the opposite of the care-taking God asked Adam to do way back when. And it’s definitely the opposite of the kind of behavior that convinces people our faith is useful and attractive. The world might end soon. So, we should be busy making it better before it’s too late. Too late for us. And too late for the people around us. Right now, I don’t have a lot to show for the time I’ve spent here with my family and friends. I’d like to leave this world a little better than I found it. I’d like to have a few words or actions that will linger after my world ends. I’d like to leave a few flowers on the table. This entry was posted in culture, hope, news, reflections. Tagged death, end of the world, hope, rapture, reflections.